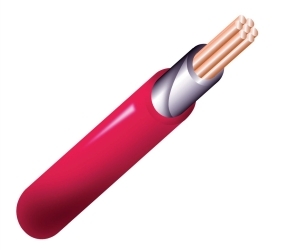 FP100 is the original fire resistant single core cable for use in steel conduit or trunking. Use FP100 when upgrading existing steel conduit systems to current specification and also for new build projects featuring metallic trunking. It is ideal for emergency lighting, fire detection and fire alarm circuits for systems that do not require twisted pairs or a built-in metallic screen.